We are proud to have designed and installed windows for numerous high rise projects in South Florida. We specialize in luxury condominium, commercial and high rise high impact projects for retrofit window installations. Our architectural window systems are meticulously built to your exacting specifications. The high rise architectural windows carried by will be designed and custom-built to your precise specifications so you have the greatest range of flexibility for your new high rise construction or window replacement projects. Our architectural windows are sleek and sophisticated and built with narrow sightlines for clear and unobstructed views. And, we have further enhanced their beauty by hiding all fasteners and screws, while still retaining their efficiency and craftsmanship. Reliable Products. High Performance. Built to Your Specifications. You can count on us to meet your unique high rise architectural window requirements and to make sure your final product is delivered complete and on time. 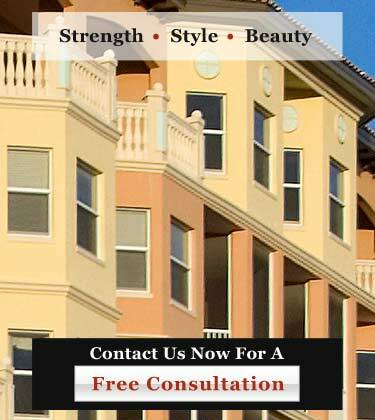 We are the leaders in serving the needs of South Florida's high rise window market! Call us at 954-714-6800 or contact us online today!